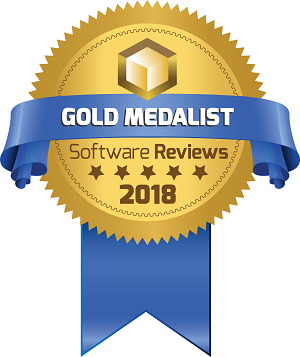 BOARD International has been named a Gold Medalist for Business Intelligence at the 2018 Software Reviews Data Quadrant awards. Taking place during the Info-Tech Live event in Las Vegas, the ceremony takes place annually and recognizes software vendors who have been identified as leaders in their field. BOARD International received a Gold award, having been named a 2018 Software Reviews Business Intelligence Data Quadrant Winner for its all-in-one decision-making platform, BOARD. Positioning within the Quadrant is determined based on a combination of end-user scores for vendor experience, capabilities, user satisfaction, and product features, for which BOARD received an exceptionally high score. “ BOARD combines analysis, simulation, and planning to make organizational decision-making easier, more accurate, and more efficient. To receive an award which is not only based on these capabilities but also on user reviews tells us that we’re providing a solution which our customers truly value ” commented Giovanni Grossi, CEO of BOARD International. Software Reviews is a division of Info-Tech Research Group Inc., a world-class IT research and advisory firm established in 1997. Having worked in the vendor space for two decades, Software Reviews is a leading source of expertise and insight into the enterprise software landscape and client-vendor relationships. BOARD is the #1 decision-making platform. Founded in 1994 and Headquartered in Chiasso, Switzerland, and Boston, MA, BOARD International has enabled more than 3000 companies worldwide to effectively deploy Business Intelligence, Corporate Performance Management and Predictive Analytics applications on a single platform. The BOARD platform allows companies to achieve a single, accurate and complete view of business information and full control of performance across the entire organization. Thanks to BOARD, global enterprises such as Coca-Cola, DHL, KPMG, Puma, Siemens, Toyota and ZF Group have deployed end-to-end decision-making applications in a fraction of the time and cost associated with traditional solutions.